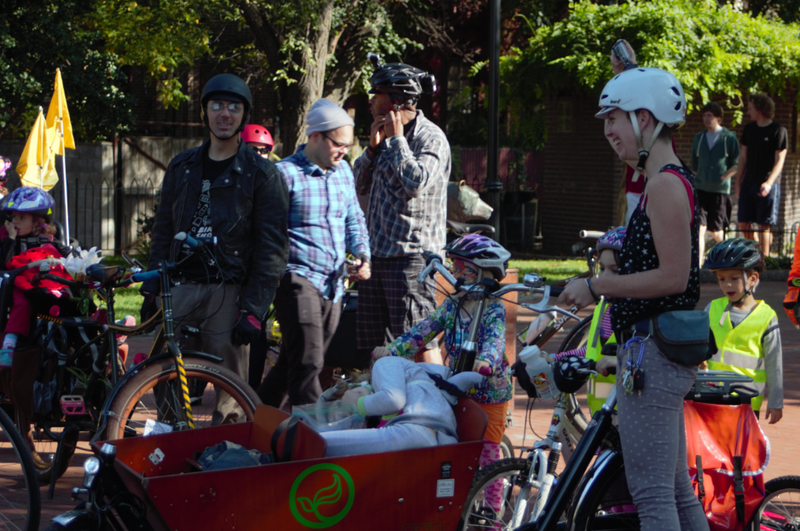 Today dozens of parents and children rode bikes, individually and with up to 3 in-tow, pedaled up 22nd Street from near Pine all the way to Brown, in Fairmount Park. 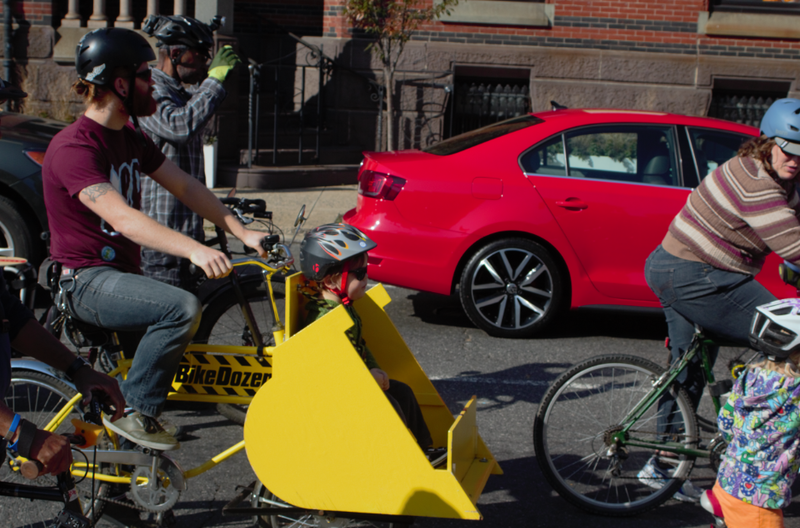 The purpose of the ride was to draw attention to the need for clearly marked bicylce lanes on a five-block stretch of North 22nd Street in the Fairmount area, a (somehow) long-contentious measure which has been blocked by City Councilman Bill Greenlee. Called Kidical Mass, the ride was the latest of a series, “part of nationwide movement seeking to promote family friendly bike rides and bring awareness in our cities that kids are traffic too,” according to the group website. Riders gather at Fitler Square for the ride north up 22nd Street.